Nic Jovanovic's cancer returned while filming MAFS. "What am I doing wrong?" MAFS' Nic says his cancer returned during filming. Nic Jovanovic looked to have his hands full trying to maintain a relationship with his spouse Cyrell Paule on Married At First Sight. But viewers didn’t know that while filming the reality series, he was also privately dealing with a far more serious struggle. The 28-year-old told 9Honey on Monday that during filming he discovered his testicular cancer had returned. The NSW electrician was first diagnosed in 2015 when he was 24 years old, and said he was shocked to learn that after painful treatments and years of remission, his cancer was back. Nic recalled that in December 2018, around Christmas time, he discovered a lump in his testicle, with tests confirming his worst fears. “I couldn’t believe it,” he told 9Honey. “Four years later … there was so much going on in my life, for it to come back, I’m still in shock that it came back. Nic said that the diagnosis was harder to take given he felt like he’d been doing everything right. 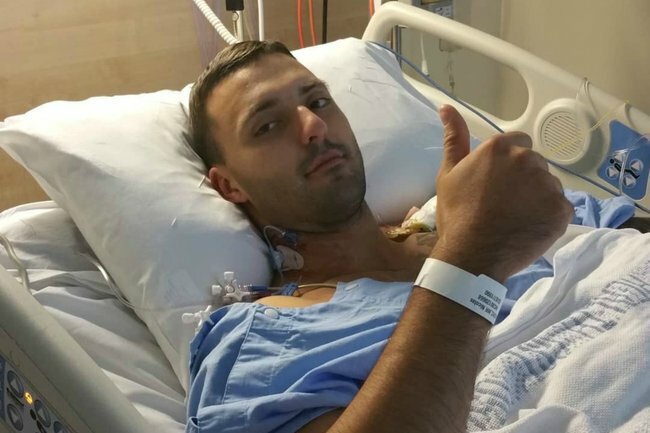 At the end of January, immediately after filming for Married At First Sight wrapped up, Nic underwent surgery to remove the tumour and then went through chemotherapy. Nic told 9Honey he wanted to share his story to encourage men – and women – who notice something wrong with their body, to have it checked out. “Just, get it checked, don’t be afraid, don’t be embarrassed,” he said. In September last year, before the reemergence of his cancer, he shared a similar message to friends and family on his Instagram page. “This is just a friendly reminder to all my friends and family to not be afraid to go and get a checkup. It could save your life. – It saved mine,” he wrote. According to the Cancer Council of Australia, testicular cancer is the second most common cancer found in young men (aged 18 to 39) behind melanoma skin cancer. It has a 98 per cent first-year survival rate. However, there is no screening test for testicular cancer, so it’s up to young men to notice any lumps or abnormalities in that area and then go see a doctor who can take a look and run further tests.